Fernando GAGO will make his return to the Argentina National Team. Argentina’s move to La Bombonera has coincided with a Boca boy’s return to the team. With the European based list being announced earlier today, the domestic based squad is yet to be announced. However, according to Cesar Luis MERLO of TyC Sports, Jorge SAMPAOLI will call him up for next month’s World Cup Qualifiers while Milton CASCO has a chance of making the team as well. GAGO has played 61 matches for his country (excluding youth matches) with his last one coming two years ago on September 8, 2015 in a 2-2 draw against Mexico. gago is an interesting addition, and one about whom I am pretty optimistic – just a hunch. I have to cling to my hopes, as this Seleccion is putting me thru the wringer! I agree with everything everyone said about Biglia – that he brings no offensive contribution for the team. And when you are trying to play in a high line possession based setup, and your midfielder can only pass sideways, it just does not work. I would also like to inform everybody who have not seen paredes play in a regular that he is also similar to Biglia and is defensively worse. However, Paredes can bring a bit more than passing sideways like playing throughballs and playing one twos. He will not improve the midfield in this setup. In short term, Gago is the best man to play midfield vs Peru. IMO if Gago plays, we will see some real notable change in the midfield play, which is really really important for our setup. I just don’t think Gago is a long term solution. I’m hoping Augusto gets back his form. He is good and exactly what we need in long term. I’m also hoping Di Maria doesn’t get fit and Sampaoli is forced to play Acuna at LWB position. Gomez should play that LF/LAM role that Dybala played. I told everyone at Mundo that Dybala and Messi plays in the exact same position and positionally are similar players and the whole Mundo freaked out! Players should always be played at their preferred position unless there is an emergency. An in form Gago* which we haven’t seen since the WCQ 2014. But valid point. With a back 3 Paredes would be perfect as a deep lying playmaker. With a back 4 he would need someone like Biglia, Pizarro, Augusto with great defensive attributes for cover. I agree with you, Istiaque comepletely and in avery point. About Paredes. I think he may still improve some things and I’m open to him. He needs more games in starting eleven, in friendlies. No doubt he is better passer than Biglia but except that I don’t see him doing better in defence or giving more movement. There are people that even attribute him trait to be fast. That probably proves they probably never have seen him in full match. Gago is player for the 2 games. he may be best imrpovement for us now. But no doubt he is not player for World Cup. And that’s why I try to promote Santiago Colombatto from Perugia. He could be complete central midfielder with all abilities you need. Like Gago but even more aggresive in defence and with presence in penalty box of opponent. We have only 3 players under 20 in Europe (Colomabatto, Ascacibar and Ponce) and all they are hugely talented. Colombatto as Messi, Icardi and Dybala is one of those who were pulled to Europe yet in their non age. IMO Ascacibar is the second along Colombatto who may grow into a complete universal midfielder. Defending, running, fast these are his inborn abilities. But he is still improving on passing. Many many things may goes wrong and this may never happend but at the moment I think Argentina NT destination is to have in future duo Ascacibar-Colombatto together in midfield. Pezzella scores on corner against Bologna..I am loving this guy.. Seems he is the MoTM in this game! 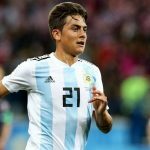 One of the best promising young Argentine players. Yeah, I have watched. First game as a starter and already impressive. Also in previous match when he came in second half Stuttgart was playing a bit better. Benedetto, Gago. There were rumours about Pablo Perez and Pavon. Sampaoli want ot have players familiar with stadium? Can Pavon replace Salvio as RM in 3421 tactic ? I think he can. As far as both Salvio and Pavon normally play on right wing. Maybe Pavon sometime a bit more RF. i really want to see him play. I think Salvio is good enough to be in the lineup. He can contribute to the attack as as well as the defense. No need to replace him with Pavon since he is more mature and experienced than Pavon. I am really excited to see our beloved team play on the real pitch at the real stadium again, since 2012 when they defeated Brazil. Which is a good motive! I know AFA believe they were cursed and they’re trying to break it by switching to la bombonera. I strongly believe as well it would a new start on the right track for us, the jinx will hopefully be over! He need in the squad at this crusial game…he surely know..his inclution just for help the team..
Gago and Mascherano are the last two great midfielders to come out of Argentina who then moved on to European football. Now Argentina have players representing the team who play for clubs like Zenit, Sporting etc. Take out Messi, Aguero, Mashe and Banega and we’re looking at an above average team. Some of these players wouldn’t even start for Mexico or England of all teams. No wonder people in other comment section make fun of the Argentina national team, it’s because of players like Acuna, Paredes, Rigoni, Acosta, Gomez, Tagliafico etc. These players are just like the Roncaglia of this world, these are the type of players that guarantee a group stage or second round exit at the world cup. World cup also comes down to marketing, majority of fans want to see Messi win the world cup along with the likes of Di Maria, Aguero, Masche etc. but the other fringe players are just not good on the eyes in terms of football hence the reason why Argentina is not well received across the board by a vast majority of football fans as a world cup contender. Brazil, Germany, Spain, France, Croatia, and Belgium don’t have players like Acuna, Paredes, Roncaglia, Acosta, Rigoni representing them hence why they’re the media go to favorites. 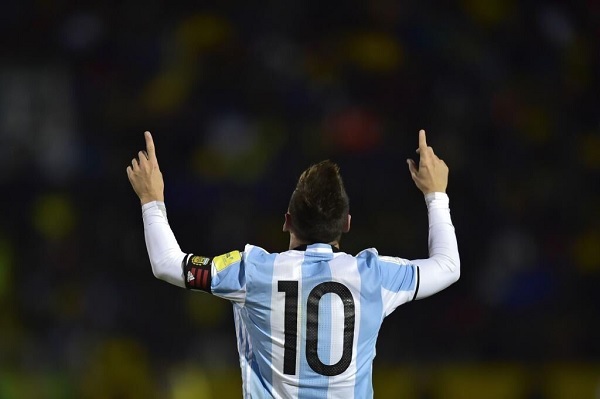 If you take out Messi, Aguero, Di Maria, Masche, Higuain, Banega and Pastore altogether from the Argentina national team nobody would give a two cent about Argentina. Let’s be real here, most people only want to see Messi winning a world cup. Kid, what you are aiming to say is right but you didn’t express it well! Argentina doesn’t have world class players in every single position, No WC Goalie! no WC RB, no WC LB, no WC CM, no WC DM, Hence, utilizing Masche (who’s supposedly a WC DM as a CB (where he isn’t WC at that position) is a weakness again. Yet you have a WC in all attacking positions in Messi, having his free role on the pitch! Tite, managed to utilize a team play to serve the purpose, since he took over the yellows. Can Sampaoli do this with his team!! with Gago comeback you just needs only Higuain and Rojo again in the team to be happiest man of the world. Gago was great of late in Boca but still we should take rather future player. That shows how is Sampaoli deathly afraid reaching for “old proven” tools. Gago may give us important things now but still he is not player for WC. Average teams? Gago went straight to Real Madrid and… He was too weak for Real or just that was bad move to go straight to top club. The same with Banega (valencia) and few others. That’s why to critic our youngsters that they are in mediocree clubs makes no sense. They have a time to advance. Gago and Banega were in big clubs too early, and what… Or maybe Gago never was enough good for Europe? My point is – too much self-contradictions in all this because typical critic of local football (as you) should have said now rather: Gago plays in Argentina because he is not enough good for Europe. It’s way better to be first team than a bench warmer in a big club. You see tlent of a guy not the club where he plays. gago is a strange one but he is a player in form and in saying that I have no problem with form players being picked as they should be, sadly what this is showing us is the massive task ahead of samp as the cupboard is very bare of “classy midfield passers”, we urgently need to get that once gold standard conveyer belt of “mids who can create magic” cranking again as we simple are not producing them a.t.m. 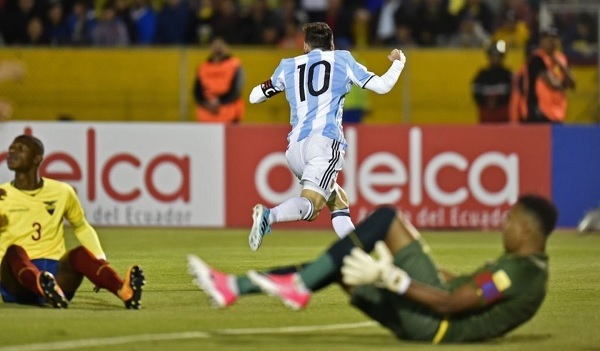 I AM SURE ARGENTINA IS ALREADY GAME OVER. 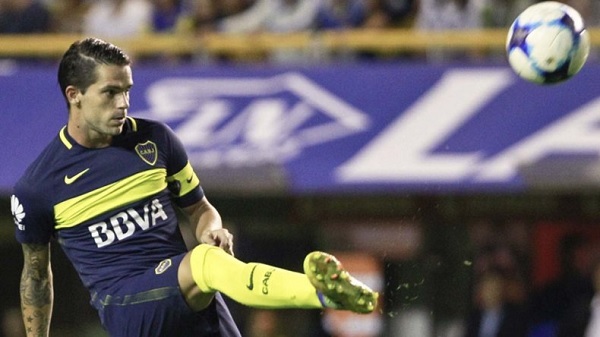 For those have been following Gago for the last few months at Boca, he’s been fantastic. And that’s what we need, right? We need players that are playing great. 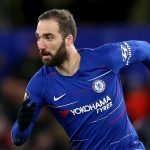 @Jack: I agree we should select the in-form players. @Jack, I didn’t follow him recently and it’s good to hear he is on form right now. But Gago is very slow and at times he looks lazy, maybe many of you don’t agree that with me. Since Gago is old relatively I would prefer to see Paredes in the starting lineups against Peru and Ecuador. Gago is 31 and how is that exactly old? Gago never relied on his speed and Paredes doesn’t contain this immaculate speed either. 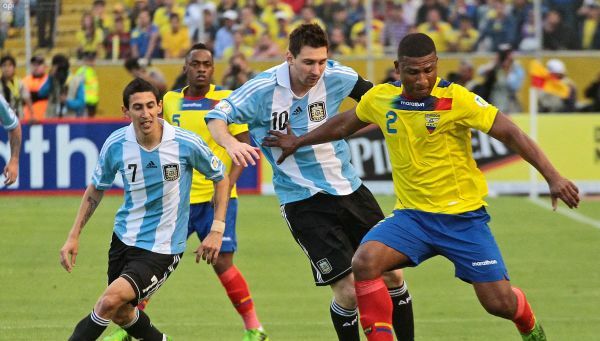 If you go back a few years, one of the only players from the national team that connected well with Messi was Gago. Paredes is the future but right now, we need somebody that will connect the midfield to the forward line. Begin to watch Boca’s(or Argentina’s superliga) game rather than follow a player through YouTube clips and whoscored.com. That’s how a players dynamics should be evaluated. Gago may be the missing link in our midfield now. That’s true. Still I think he is rather player for the 2 games and nothing more. We need to win now. I was expectating rather for Pablo Perez. His passing is good as well. The two are connecting Boca midfield with forwards line. The biggest issue is Biglia, IMO. He is a player that lacks any true gifts going forward nor defending. We need a #8, that can be that true box to box that can also play with a Banega or whoever it may be. Augusto Fernandez if he finds his feet with Atletico needs to be revisited. I know Sampaoli won’t pull a rabbit out of the hat with a surprise call-up in that department but more players need to be evaluated with a closer eye. I don’t know how Escalante is doing but he probably could be a player that checks off the boxes in defensive and attacking responsibilities, plus he has an eye for goal. We lack that Maxi Rodriguez player right now. I honestly believe if Biglia does not play, we will be a much better team. He is the quintessential weak link for us. @Jack, I have a big respect for Gago and I know he was great back in 2014 and before that period. You absolutely are right, the way a player can be judged is by watching his games fully for two months or more. Since Gago didn’t play for Argentina after the friendly against Mexico I’m scared a little bit. I hope he will contribute much to the team; that’s what we all need and make us happy. There is nothing to be scared about if Gago plays. He is an experienced player who has played in the SuperClásico, El Clasico, Derby della Capitale, games vs Brazil and Uruguay. He is a player that is respected and liked by his peers. As I stated, Gago has done very well for Boca in the last few months. He’d be somebody that will give the team a lot more than Biglia. Gago was excellent during the 2014 wc qualifiers… his form dipped when the wc started!! Classy footballer but injuries have sadly hampered his career in europe. Still he’s been pretty good with Boca so why not although if a passer is required (HE IS!) in the midfield I’d rather Paredes be given a chance. Oh c’mon, last time I saw him play against Peru, they gave him a concussion. It seems to me Sampaoli is desperate to solve the passing dilemma and ensure Messi does not drop deeper and deeper, hence calling players like Gago, hoping that our midfield can finally click. Not sure how I feel about Gago at this point. At his prime, in his Real Madrid days, he was a very good player.